Eureka Masters of Cinema's box-set of five early films from the German filmmaker. With most silents residing in the public domain, one of the obstacles for movie lovers venturing into pre-talkie cinema is the lack of quality presentations, but the five movies here are so crisp they may just convert those who have previously shown reticence to indulge in silent cinema. Few directors represent the silent era as explicitly as Germany's FW Murnau. In an all too short career that spanned a mere 12 years, Murnau worked solely in the realm of silents, despite shooting his final film in 1931, when talkies had well and truly become established. 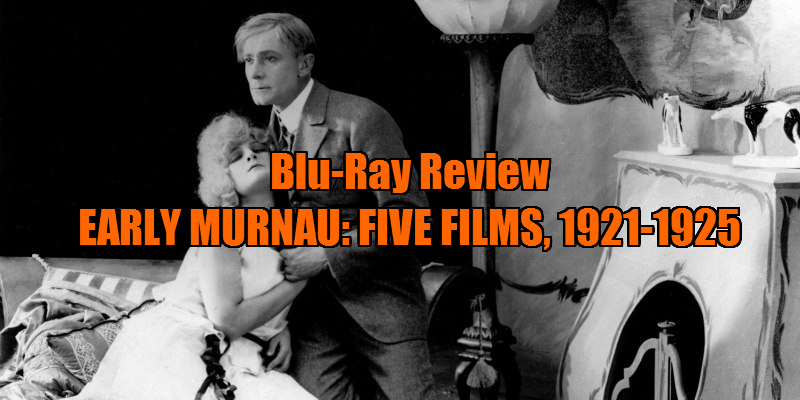 Horror fans know him as the creator of Nosferatu, the first great vampire movie, while arthouse connoisseurs associate him most with his 1927 Hollywood drama, Sunrise: A Song of Two Humans, but Murnau's legacy reaches far beyond those two offerings. Unfortunately, eight of his 21 films are considered lost, but Eureka Entertainment have done a sterling job in restoring five of his early features for their Masters of Cinema series. The transfers are quite simply beautiful. With most silents residing in the public domain, one of the obstacles for movie lovers venturing into pre-talkie cinema is the lack of quality presentations, but the five movies here are so crisp they may just convert those who have previously shown reticence to indulge in silent cinema. First up is 1921's The Haunted Castle, aka Schloß Vogelöd and Castle Vogeloed (***1/2), in which a doll's house of a rural mansion plays host to a weekend gathering of assorted Teutonic toffs. An unwelcome guest arrives in the form of Count Oetsch (Lothar Mehnert), whom everyone believes responsible for the murder of his brother. Tensions rise further when the dead man's widow (Olga Tschechowa) shows up. There are few of the trademark stylistic flourishes that would later distinguish Murnau as a visionary, save for a couple of creepy moments, one featuring a monstrous hand that prefigures Nosferatu and the other an unsettling breaking of the fourth wall by Count Oetsch, played with sinister relish by Mehnert. It is an enjoyable yarn though, albeit somewhat predictable for a modern audience. The following year's Phantom (****) represents a marked evolution of Murnau's talents. It's the tale of Lorenz Lubota (Alfred Abel), who recounts, through composing a journal, the story of his ruination and slide into a life of crime due to his obsession with an angelic young woman (Lya De Putti) whose coach knocks him down in the street one morning. A wannabe poet, the feckless Lorenz is misled into believing his poems are about to be published, and he sets about borrowing and spending a large sum of money in an attempt to transform himself into the sort of society figure who might attract the object of his fantasy. A subplot that surely influenced Hitchcock's Vertigo sees Lorenz attempt to manipulate a lower class girl (also played by De Putti) into a facsimile of his obsession, having failed to transform himself. In dream and drunken sequences, Murnau experiments with all manner of camera trickery, including a dry run of the collapsing environment technique he would repeat in The Last Laugh, and which Christopher Nolan would borrow for Inception a century later (it also seems to have influenced the forthcoming comic book adaptation Doctor Strange). But for all its movie magic, it's the simple story at its core that makes Phantom such a satisfying watch. 1924's The Grand Duke's Finances (**) is the weak point of the collection, a drab comedy that will struggle to raise so much as a chortle from modern viewers. The story of the leader of a debt-ridden kingdom, it was clearly meant to parallel the situation Germany found itself in after WWI, but it's a weak piece of satire, bogged down by an abundance of title cards and displaying little of Murnau's visual talents. Thanks to the cinematography of Karl Freund and some elegant production design, 1926's Tartuffe (***) offers considerably more eye candy. 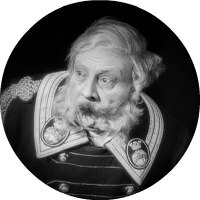 An adaptation of Moliere's 17th century play, Murnau casts the great Emil Jannings as the titular rogue, seen here in a film within a film screened by a young actor as a way of warning his grandfather of his housekeeper's unscrupulous intentions towards the old man. Murnau and his crew open up the play with some glorious matte paintings and clever blocking of the actors. A decade before US comics would popularise the technique, Murnau has his protagonist break the fourth wall, directly addressing the camera. This was long considered a lost film, and though the restoration features considerable print damage, it's otherwise an impressive presentation. The highlight of the set is undoubtedly 1924's The Last Laugh (*****), presented here as Der Letzte Mann (The Last Man). One of Murnau's three universally recognised masterpieces, along with Nosferatu and Sunrise, it's the culmination of everything the director, and German cinema as a whole, had been building to at that point. Emil Jannings plays a doorman at an upmarket hotel in a city that could be European or American (it's labelled 'The Atlantic', a hint of where Murnau's ambitions were headed), and could equally be located in the past, present or future. His smart uniform commands respect among the residents of his slum, and with his bushy whiskers he looks for all the world like the dictator of Lapland. He loses this respect, along with his dignity, when he's made redundant and replaced by a younger man. Stealing his uniform from the hotel, Jannings maintains the facade of his previous respectable employment, but the humiliating truth inevitably comes out. Shunning dialogue title cards, The Last Laugh is undiluted cinematic storytelling. Murnau pulls out every visual trick from his toolbox, his camera trundling across busy streets and through hotel lobbies, attaching itself to revolving doors and Janning himself. The production design combines elaborate sets with handsome matte paintings to create two distinct worlds - the upper class hotel and the working class tenements - but Murnau's greatest asset is the expressive face of his leading man. Jannings' hangdog look conveys not just his character's state of mind, but that of his struggling country. An optimistic fantasy epilogue gives hope to the audience, and their nation, but history would show the effects of Germany's misled respect for uniforms. The Language of the Shadows: Friedrich Wilhelm Murnau and His Films, a 31-minute video piece by Luciano Berriatúa on the early works of Murnau. Audio commentary by film scholar David Kalat on The Grand Duke’s Finances. The Making of The Last Laugh, a 41-minute documentary by Murnau expert Luciano Berriatúa. Tartuffe: The Lost Film, a 37-minute documentary by Berriatúa. A 100-page book featuring writing by Charles Jameux, Lotte H. Eisner, Janet Bergstrom, Tony Rayns, and archival imagery. 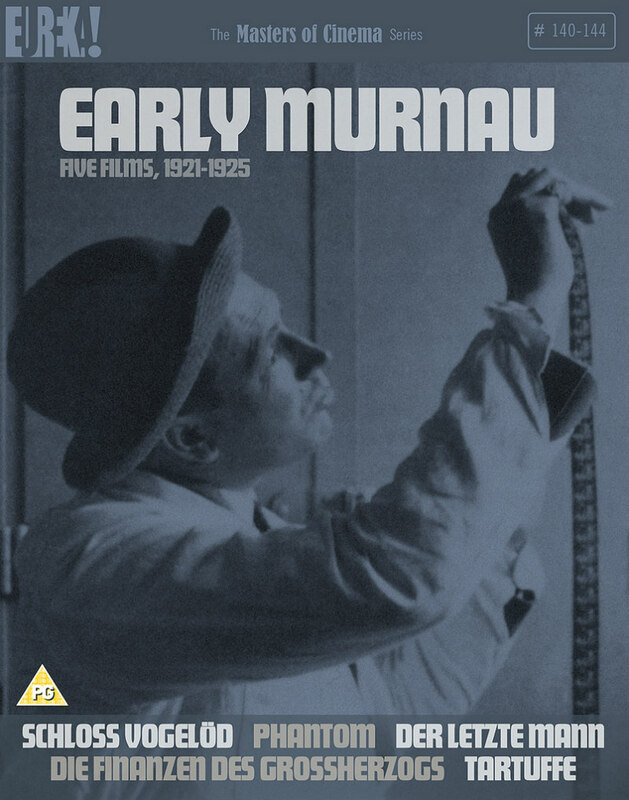 Early Murnau: Five Films, 1921-1925 is available on blu-ray from Eureka Masters of Cinema now.